Michelle T wrote: We just wanted a quick romantic getaway at a bed and breakfast as I have never experienced staying in one. We checked into the Beech Tree Inn, room 102 and fell in love instantly. 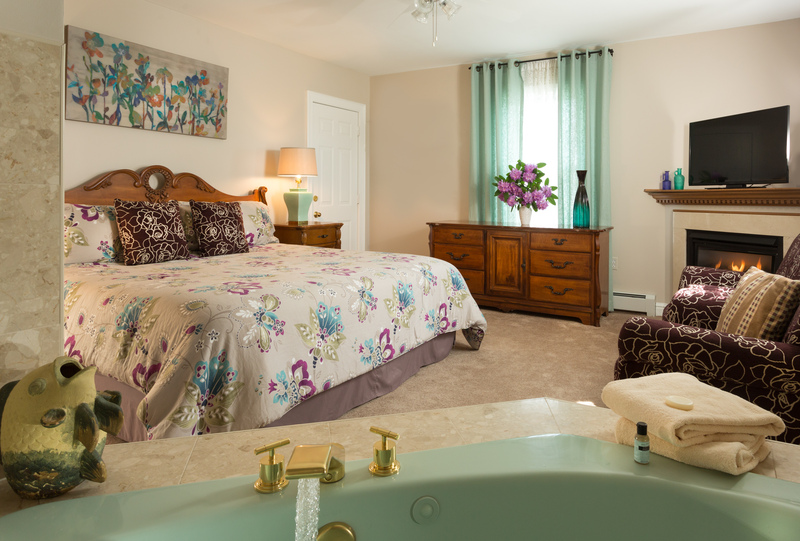 The room was beautifully decorated with a lovely gas fireplace and a jacuzzi tub that one could swim in. The view from the balcony is absolutely breath taking. The breakfast is hearty and delicious! You must try their french toast and blueberry pancakes, yum-yum! The innkeeper (John) very friendly and warm. He made us feel like we were at home. Just wanted to getaway for an nice romantic evening. Checked-in The Beech Tree Inn Rm. 102. The room was amazing with a fireplace and a jacuzzi big enough to swim in. Upstairs was a nice kitchenette with a deck with a nice view of the ocean. It was nice at night and even more beautiful in the day. The Innkeeper (James) and the staff was great. The breakfast was extremely filling and very good. you must try the French toast and blueberry pancakes. This would be a great place for you to visit once you have a chance. for me I found a home away from home whenever in Newport. Greg W.
My Husband and I wanted to enjoy a b&b that wasn't too far from home in CT. The staff were hospitable, and the breakfast was lovely. We would definitely consider this place again.